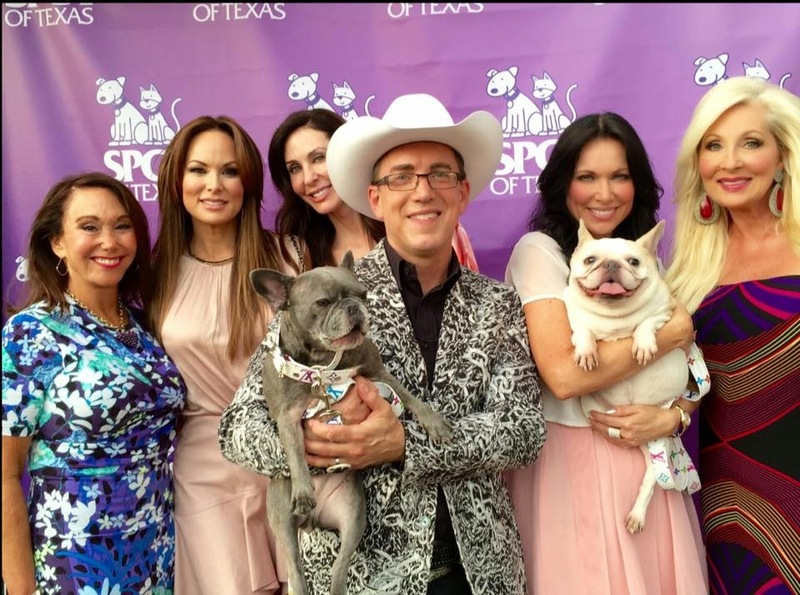 Last week, Shane Walker and Billy Fulmer hosted Dallas animal lovers at Flower Reign gift and floral shop, for the SPCA of Texas Paws Cause 2015 kickoff party. The party featured a Photomadic photo booth and caricature sketches, bites by Food Glorious Food and champagne donated by Kristen and Scott Greenberg. Among those in attendance were event chair Phyllis Comu, Diane Brierley, LeeAnne Locken, Steve Kemble, Ashley Berges, Karen Lukin, Holly Forsythe, Tiffany Hendra and Rob Bradford. There were even a few four-legged guests in attendance who happily greeted guests with tail wags and lots of licks. Flower Reign donated 20 percent of party proceeds to the SPCA’s Mary Spencer/Neuter and Wellness Clinic at Village Fair in South Dallas. Paws Cause, will take place on Sunday, June 14 at the SPCA’s Jan Rees-Jones Animal Care Center in West Dallas. Look for more nibbles from Food Glorious Food, musical entertainment by the British Are Coming, a silent auction, the famous Bone Appetit restaurant drawing and more. Tickets are $150 and can be purchased online.